To bring high quality reporting of current research, trends, techniques and information regarding SP methodology and other relevant industry articles to the attention of the membership through the web-based ASPE eNews Blog. 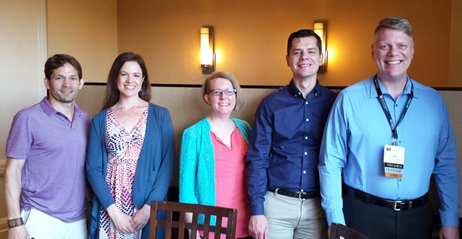 The Publication Committee meets regularly to develop a steady flow of existing materials to be posted to the ASPE eNews Blog and to discuss and develop ideas for authoring original content. The committee publishes an average of 10-15 blog entries per month covering a wide variety of interests. While any ASPE member may submit content to the blog by sending materials to the committee chair, active committee members work to stockpile a queue, ensuring the dissemination of a wide variety of content throughout the year. Visit the ASPE eNews Blog here.